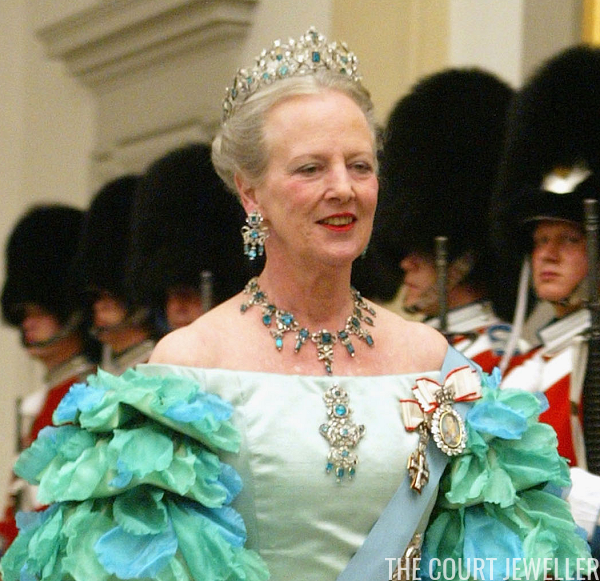 Queen Margrethe of Denmark once remarked that royal families measure their jewels by centuries rather than by carats. This is particularly true for one of the most magnificent tiaras in the Danish royal collection: the tiara from the country’s emerald parure. The tiara dates from 1840, when King Christian VIII commissioned an anniversary present for his wife, Queen Caroline Amalie. C.M. 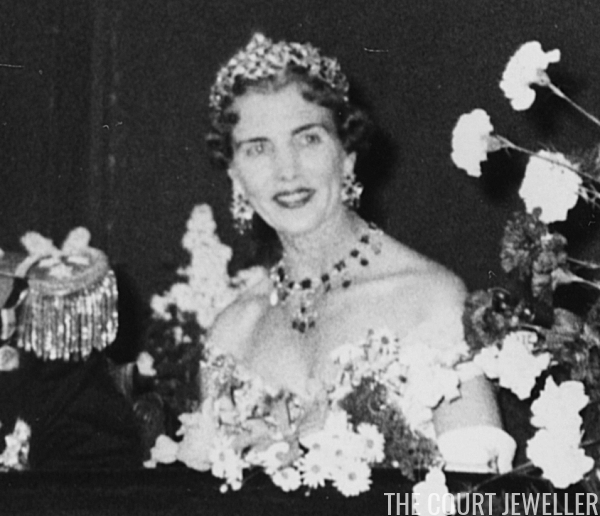 Weisshaupt created the parure, including the tiara, using emeralds that had already been in the family for a century. Many of the emeralds were originally given by King Christian VI to his wife, Queen Sophie Magdalene, in 1723; others were previously owned by Princess Charlotte. The tiara is today a part of the Danish crown jewels, a distinction that means several things. For one, you can visit the tiara and see it in person, because it is on display at Rosenborg Castle when it’s not in use. 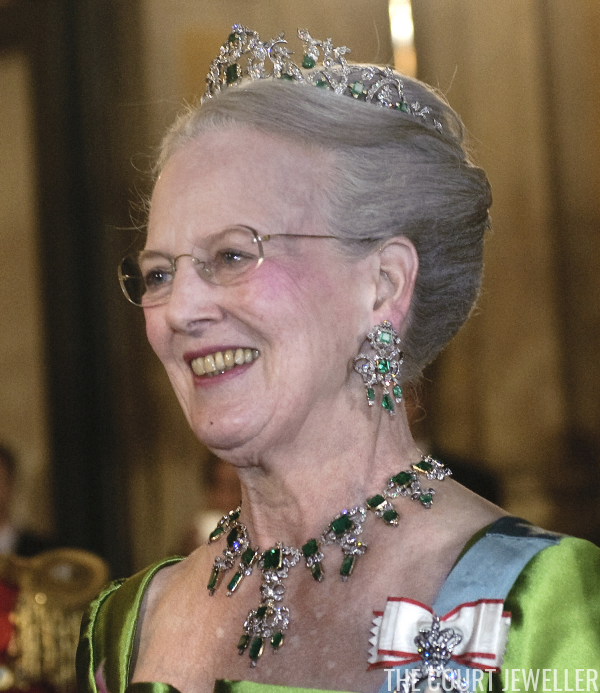 Another is that Queen Margrethe never takes the tiara out of Denmark — the crown jewels do not leave the country. You'll usually see her wear the tiara at major in-country events, like the New Year's courts, royal weddings, or birthday celebrations. And, finally, only queens (and queens consort) wear the tiara. In fact, it is so historically significant that every Danish queen since Caroline Amalie has worn the piece. Plenty of centuries — and carats — to measure in this sparkler, indeed.